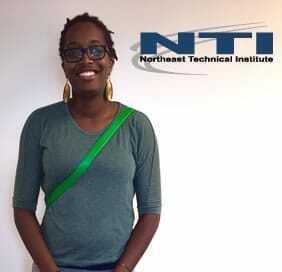 Davianne, a recent graduate at the Scarborough campus from the Medical Laboratory Assistant program, told the NTI placement team that she wanted to work for a company “that has made a huge impact around the world today, and to be able to change lives”! Well, you did it, Davianne! Congratulations for landing the job of your dreams with an organization that makes a difference every single day in this country and worldwide – the American Red Cross! Recently, Northeast Technical Institute held a blood drive with the American Red Cross, where Davianne volunteered her time at the check in desk. The NTI team is proud of Davianne and all of our students that are committed to changing their lives through hard work and determination. Davianne is a shining example of why the NTI team is devoted to our mission.